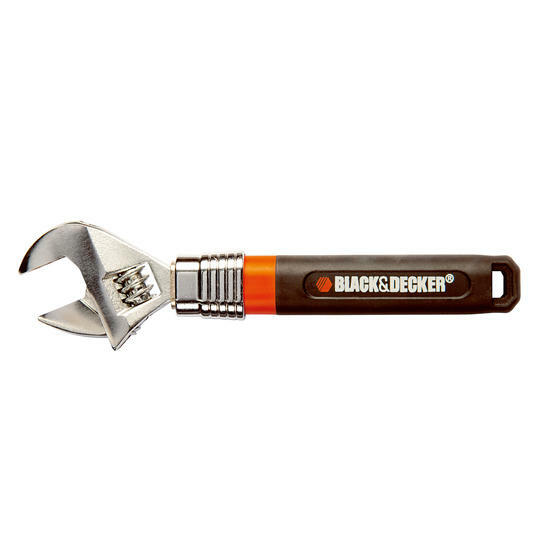 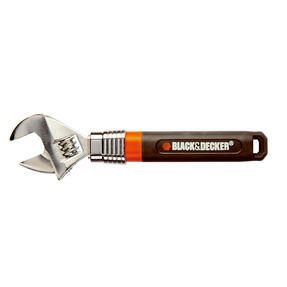 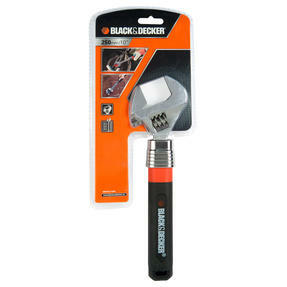 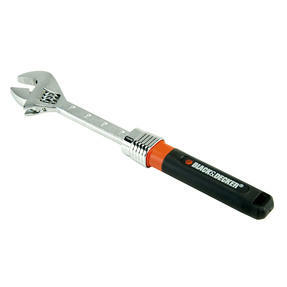 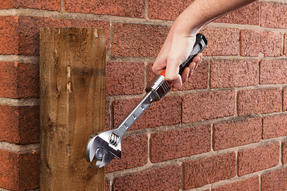 From Black + Decker, this Adjustable Wrench with organiser set is the perfect addition to any tool collection. 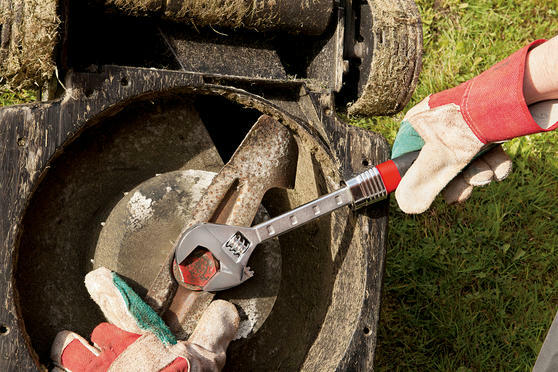 Coated with corrosion-proof lacquer for extended service life, the extending wrench has an easy-grip ergonomic handle and can be set at lengths of 250 mm, 275 mm, 300 mm, 325 mm and 350 mm depending on the intended application. 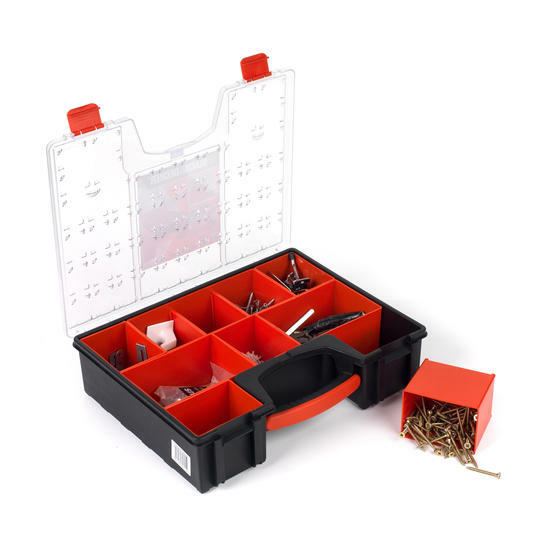 For DIY necessities, the organiser features 8 removable compartments to help keep parts separate and 2 additional panels are supplied to create up to 10 sections. 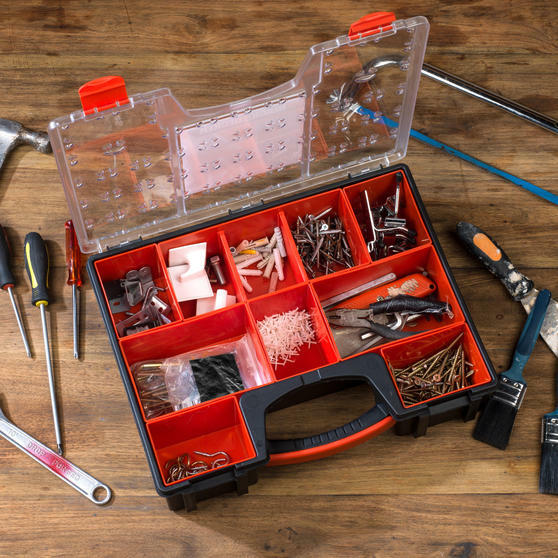 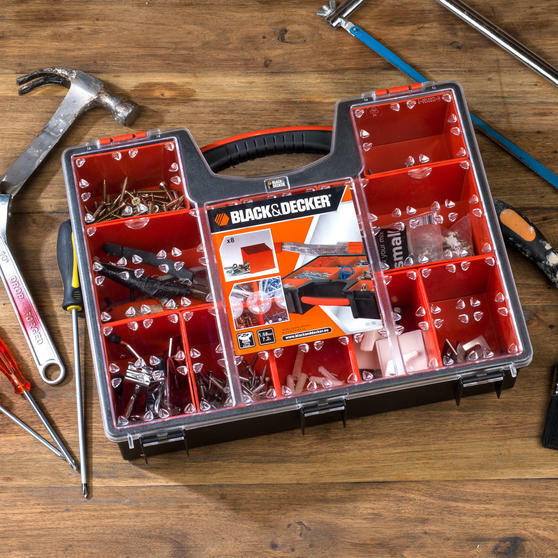 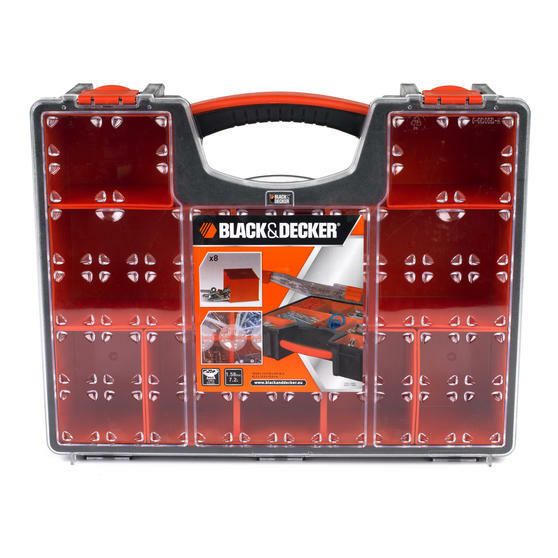 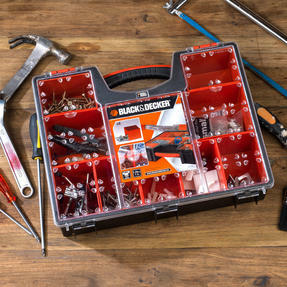 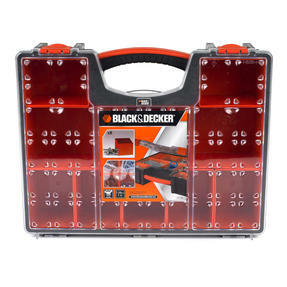 From Black + Decker, this Wrench and Organiser set is a brilliant addition to the collection of any professional or DIY enthusiast. 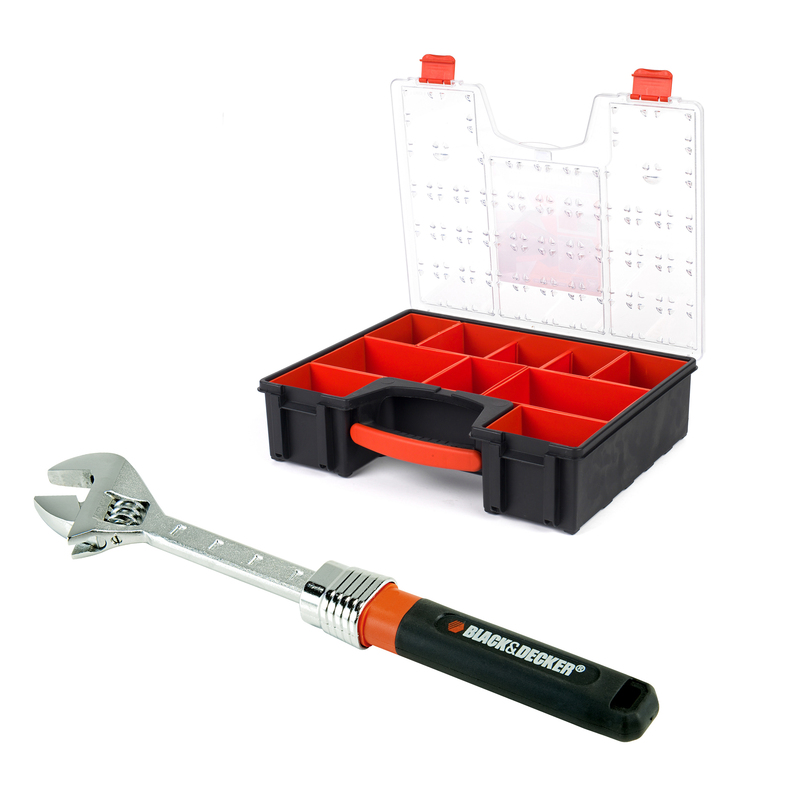 The 7.2 L organiser has an ergonomic easy-grip handle that enables users to carry up to 10 kg for prolonged periods without discomfort. The organiser also features a uniquely moulded underside for added stability when placed on slanted or uneven surfaces.